Steven Gerrard highlights a player he'd "loved to have played with"
Steven Gerrard has praised Roma’s Francesco Totti, saying the two would have been “on the same wavelength” if they had played in the same team. “It’s been a pleasure to compete against him a couple of times. I’d have loved to play on the same team as him, we’d have been on the same wavelength,” he said (via Mail). “He is a fantastic technician and a wonderful footballer. I respect him a lot because he takes all the pressure on his shoulders with Roma. He’s the king of Rome. Gerrard and Liverpool went up against Roma and Totti a couple of times, most notably in the 2001 UEFA Cup and in the 2002 Champions League. We won three and drew one of the four games. “I think when you get close to him you realise how strong he is on the ball. 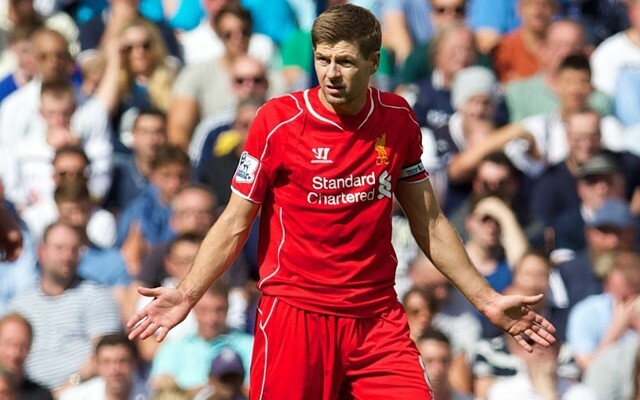 He picks up some wonderful positions between the lines,” continued Stevie. “I remember playing against him once and the ball was like on a velcro to his boots. He was very skilfull and manoeuvred the ball very well. Liverpool and Roma face each other later today/tomorrow morning in the final game of our US tour. Kickoff is at 1:35am UK time. The game is not part of the International Champions Cup.